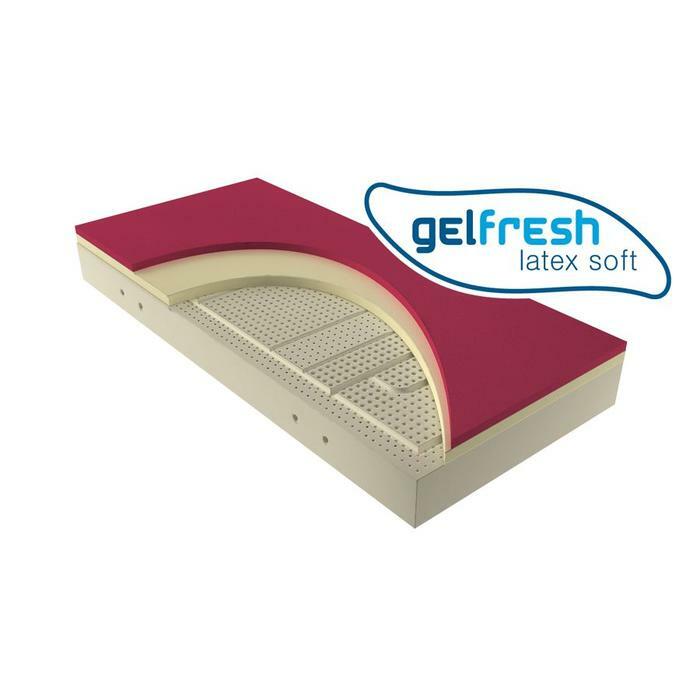 Mattress Gelfresh Latex is innovative composed from different layers. These control the elasticity and ventilation. In medium or soft for support and comfort. 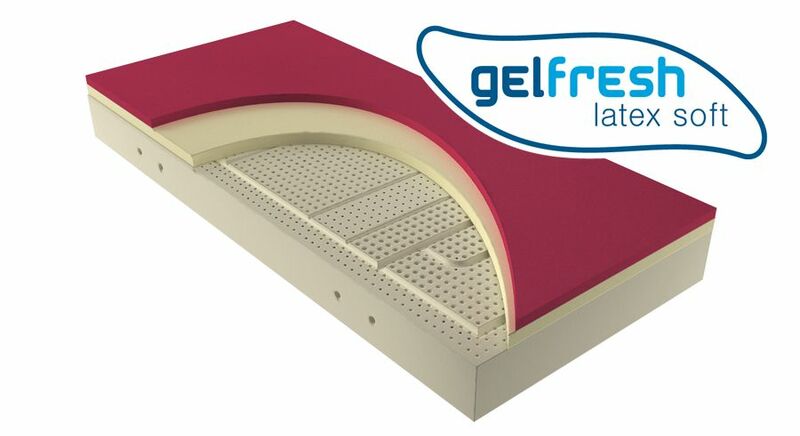 Gelfresh latex mattress is an innovative mattress due to the combination of foam layers and latex. These control the elasticity and ventilation. 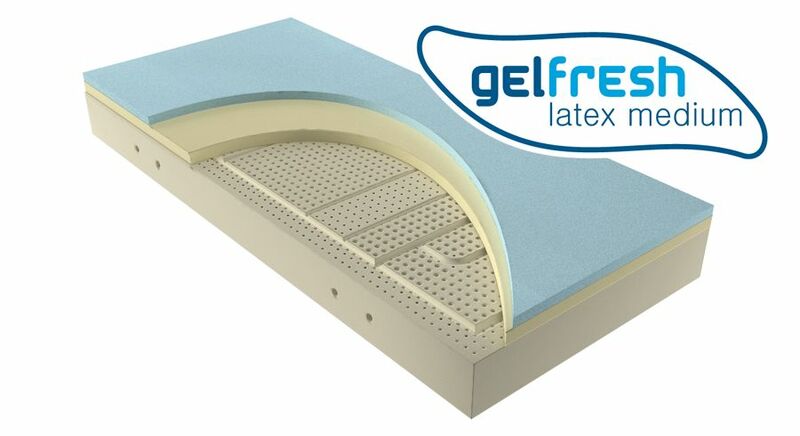 Gelfresh latex is a latex mattress with Innergetic available in Firm, medium or soft for comfortable sleeping and support. 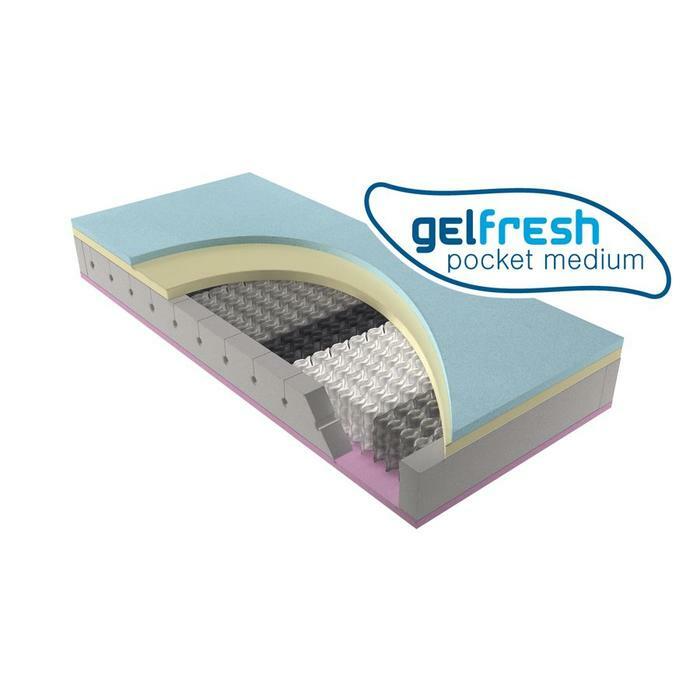 The technique consists of a super comfortable top layer in Gelfresh with accompanying backing. 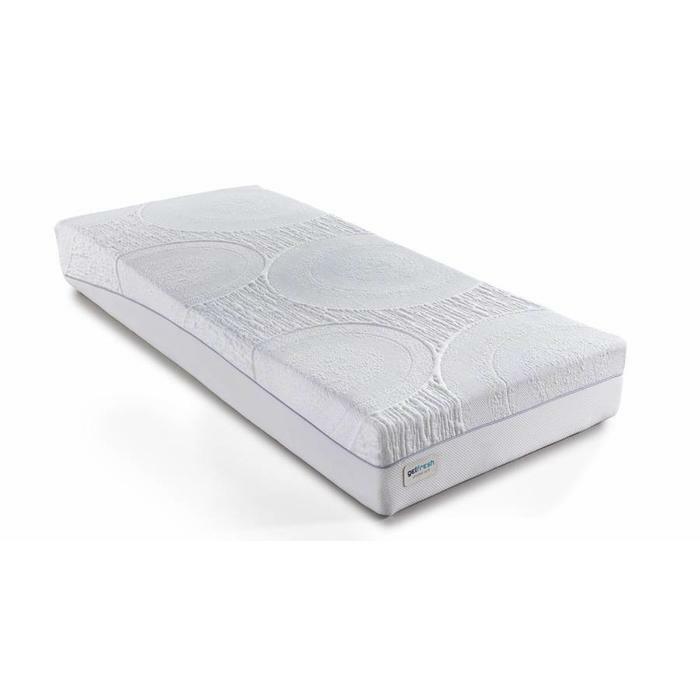 This Velda mattress is also equipped with Innergetic latex. 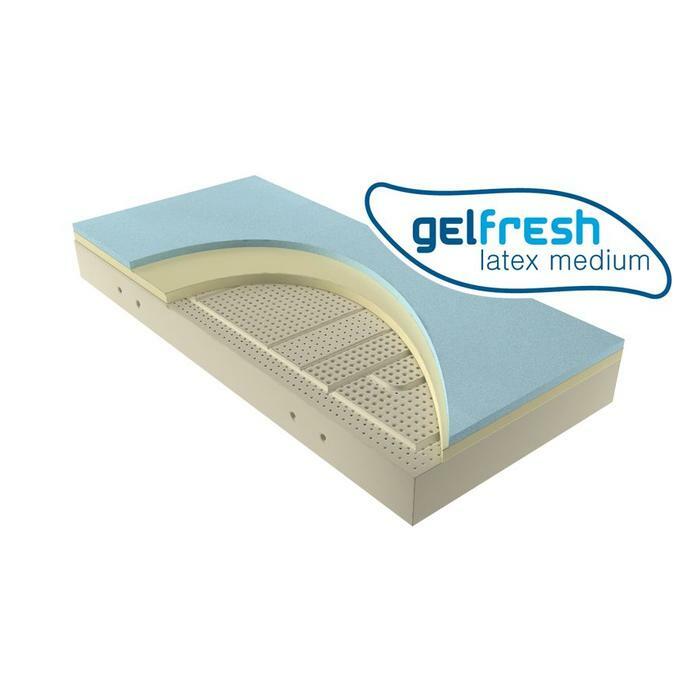 Gelfresh latex breathes well and is built to ventilate thanks to the top quality of the materials used. 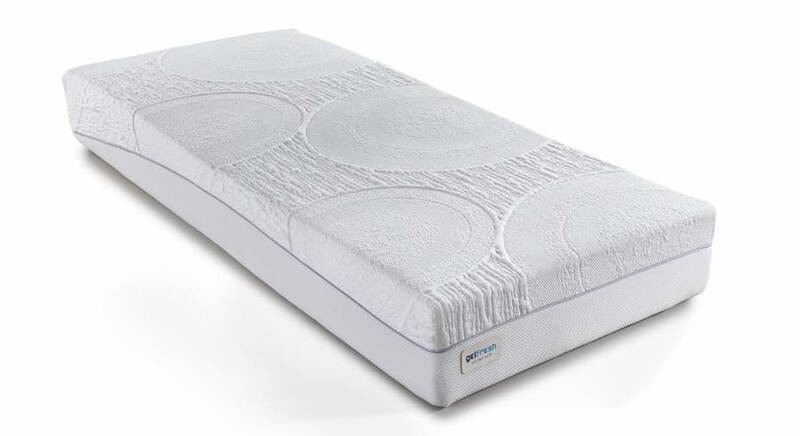 The mattress is not heat sensitive and extremely durable. 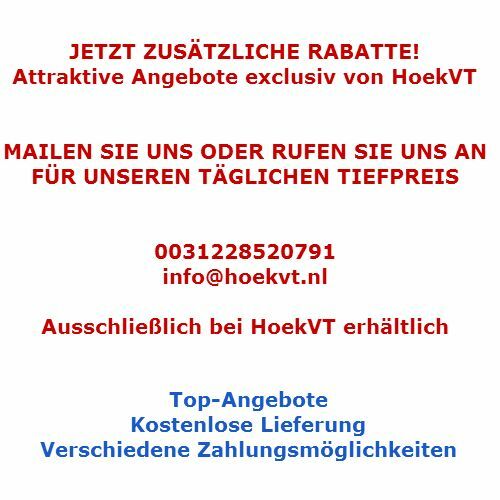 In standard blue fresh quality for comfort and soft magenta fresh for the ultimate adaptation to your body. The exceptional surface layer requires a special underlayer. The unique low resilient Sonocore Pulse Latex natural basis provides ventilation and support. The Cooltec fabric cover is extremely elastic in all directions. 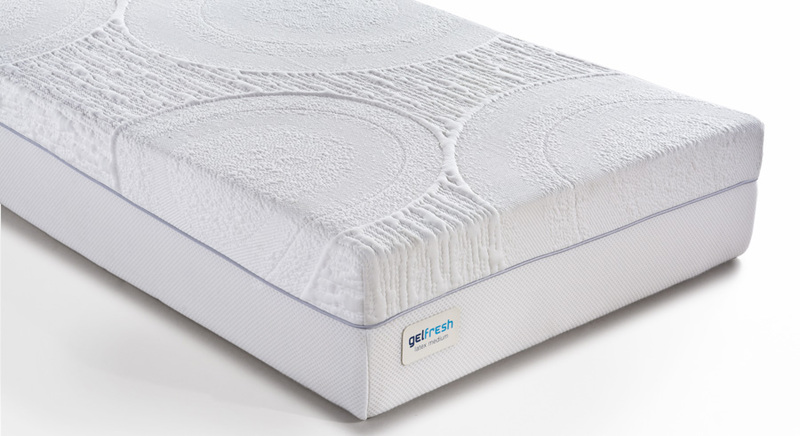 This makes for a perfect connection of the mattress to the body. The cover is decorated with a 3D Aerotec textiles for the best ventilation.